The theme in “The Love Song of J. Alfred Prufrock” was that people are going judge you no matter your social status, how you look, and how you act. In this case, the main character is the one being judged intensely, in which he claims he feels he is an insect under a microscope. This poem develops it’s theme by simply telling the story, his struggles of being judged constantly. The theme of “Disillusionment of 10 o’clock” is that nobody is creative anymore. This theme is developed by saying people aren’t wearing colors, and that everything is bland. The theme of “Anyone Lived In A Pretty How Town” is that people grow up and they die, and people continue on with their days (this probably isn’t right). This theme is developed when they say that people grow up and forget their childhood. They say that people grow up too fast and die too fast without properly enjoying life, and the people around them don’t really care, and that they just continue on with their own struggles. I think the most important and relevant theme that is still prevalent in our lives today is the theme in “Anyone Lived In A Pretty How Town”. Its relevant because it’s true. People die on a day to day basis and the people around them only care for a few days. The one that i liked to read the most was also “Anyone Lived In A Pretty How Town” because of its unique writing style. I thought that the novel in general turned out to be a good read after all. it was hard to keep up with at times, but i still thought it was a good book in the end. it accomplished its job very well, in regards to the themes in the novel. it was a good book, but i can’t say its the best book ive read. Ive read better books than this one. About the last couple of chapters, what i would change would be huck finn not running away, and getting adopted after all. the most important things to take from this novel is that people change over the course of time, especially when certain things in their life change drastically. 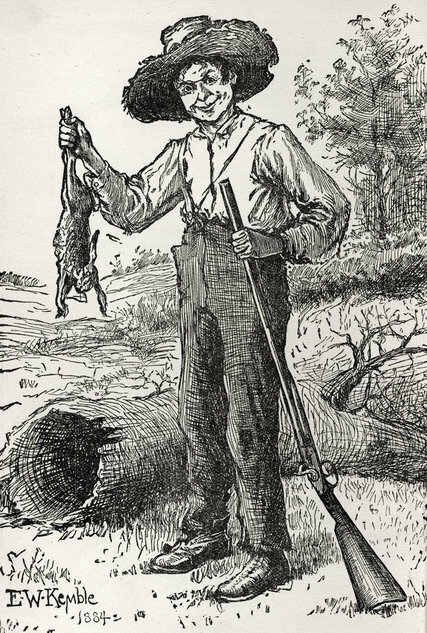 For my huck finn project, me and my partner have decided to make a documentary type video on it.I picked this specific project because i dont like going up in front of people to present, and i dont have to if i made a video. Im also really really good at making videos like this so thats a bonus. The author I chose this quarter for my IR assignment is Claudia Gray. I picked this author because i enjoyed reading one of her books, which was “Defy The Stars”, and i wanted to read the sequel and write an essay on it. I’d have to say that their primary work would be the entire “Defy The Stars” series. It didn’t really impact my decision of doing this author. I kinda had it set in my mind that she was the author I wanted to write my essay on. I’ve only read the two books that are in the Defy The Stars series (the third one hasnt come out yet), so these are two of the interesting books i have read, and an interesting looking book i haven’t read from her yet would be “A Thousand Pieces Of You”. What’s most interesting about all of these books combined is that they’re always breaking stereotypes and cliches. About Claudia gray, i know that shes still alive, and that she has worked on a few Star Wars novels. I thought that “The Celebrated Jumping Frog of Calaveras County” was a rather funny short story. It was very satirical and fun to read. I thought it was funny how they stereotyped westerners as stupid people, and easterners were stereotyped as snobby, smart people. For the way we did independent reading this year, it was a nice mix up from the regular quiz’s we had to take. it didn’t really affect how i read my book, because i was interested in it either way. As for Huck Finn, i can tell by the first chapter it’s going to be satirical and interesting to read. I’m the type of person that will read any book, but i wasn’t too thrilled when i found out we had to read Huck Finn. I’ve heard only bad things about this book, that it’s boring, its not interesting, it’s too long, etc. But i have to admit that I’ve actually enjoyed the first 5 chapters of the book. I think it’s pretty interesting and it’s definitely better than i expected it to be. One thing about this story that i thought was ironic was how the father of Huck Finn was taken in by the Judge and promised to be a better person, but snuck out that night and sold his coat to get some booze. One thing about the plot that i didn’t enjoy was how Toms Sawyer’s band of robber’s made it sound like the story was about to become action packed, with killing and robbing, but they only pretended to do it rather than actually doing it. I also didn’t like how Ms. Watson was always rude to Huck Finn and always picking at him. Another thing I thought was odd was how Jim “talked” to a “magic hairball” that would tell Huck Finn’s future. I dont really have much else to say about it, but i do have to admit i’ve enjoyed reading the book so far. I am very familiar with satire, as i use it all the time. i have a rather dark and edgy sense of humor that probably isn’t school appropriate, but oh well. i would add my favorite example to this blog, but it has swear words, so i can’t. i dont really know much about mark twain, to be completely honest, let alone his style of writing. After doing some “extensive” research, i learned that mark twain was born two weeks after Halleys comet appeared in its closest approach to earth. Woo..
Halfway through the movie, i’ve really come to enjoy this film so far. At first, i didn’t think id enjoy the film. I thought it would be boring because of how old it is, but once i started watching it, i was hooked on its plot. What i enjoyed the most about this movie was the fact that the wife wasn’t really the wife the entire time. It really added to the mystery factor of the entire film. Another thing i like about the film is that they use the color green to signify Madeleine. They also use a lot of symbols and it also adds to the film. One thing i didnt like is how scottie tried changing judy to look Madeleine once Madeleine had “died”. it was really creepy and offsetting to me. Another thing i didnt like is just how creepy scotty was in general. He just had a very creepy vibe to him the entire film. Another thing i didnt like was that scottie let “madeleine” die, which was completely unavoidable. I dont care if you have vertigo or not, if someones about to JUMP OFF OF A CLIFF, you should have the common sense to do something about it instead of WATCHING them fall. that part was very irritating to me. i personally think the film went above and beyond on the successful factor. I personally really enjoy the movie so far. I gotta say, i’m loving the deep and thoughtful excerpts we’ve been reading. I’m probably the only one who’s said that, but nonetheless i still think its interesting. One connection between Emerson and Thoreau’s thoughts that i immediately noticed is the nature concept. They both look at nature in a spiritual manner.The main idea of the first portion “Where i lived and what i lived for” is that the land he wishes to build a house upon already has a history of previous owners with their own lives and struggles. He also mentions seeing future inhabitants who will live their lives there. The conclusion is how Thoreau comes to the realization that a person who confidently strides in the direction of their dreams will succeed much better than they had originally imagined. The benefits of Thoreau’s experiment include a simple break from society. After living so long in society’s conformity, it must be satisfying to break away and live in the rule-less woods for a while. I personally don’t think i would miss anything. Living in the woods away from society seems like such a peaceful and stress-free life. I would definitely be able to do it. Some things a reader should take out of transcendentalism is that some of its concepts should be taken and implemented into some of our lives, especially the nature concept. We should better understand that we all should be sharing the nature and planet, rather than claiming territories. While reading Civil disobedience, i began to question things in our society, mainly in regards to the government. I personally believe that the government shouldn’t be as involved as it is, but i still believe it should at least exist. The role of government is to control us, its citizens, and keep us under its control. That’s also its role to each individual citizen. to control things and keep things in order (even though they fail at that half the time). i believe that a government that commands my respect is one that is a constitutional one. they make the rules, and they expect us to simply obey them. the role of civil disobedience in todays society is to obtain things without violence, such as marches. its meant to disrupt people’s daily life so they become aware of the thing the people are marching for. i believe that its effective because people are going to notice if their day is being disrupted because of civil disobedience. it makes people listen, and consider. Over the course of this entire debate, my views of argument have changed drastically. Instead of mindless bickering back and forth, i have learned that an argument is much more complex than i had originally thought. It taught me how to better form an argument, even for small things. Instead of just coming up with a weak argument, i can better formulate one. At the beginning of this unit, ill be honest. I thought it was stupid, pointless. When i found out we were actually debating one-on-one, i panicked. I hated the fact that it was one-on-one, because i instantly felt pressured to not embarrass myself. I didn’t really take the debate seriously until my turn to go was around the corner. Thats when i really started to get it together and prepare. The experience of debating in general has helped me become better at it, and it kinda helped my social anxiety, too. Now, coming up with everything in the actual debate was rather difficult. Im the type of person that prefers knowing whats going to be said, and whats going to happen, but i didnt have that choice in this debate. So writing the debate was kinda hectic for me. But overall, this entire thing has been an experience. Its taught me important elements to an argument, whether it be one in everyday life, or its a professional debate.